Where does your clutter lurk? ​Is it hiding in your closets? Tucked away in boxes? In countless files on your computer? In plain view on open shelves, table tops, and counters? Or does mental clutter keep you from focusing on what really matters? Clutter is more than just excess stuff. It comes in many forms, and can make competent, capable people like you feel overwhelmed, guilty and inept. Feel that you have more control over your space and your stuff? Reduce the energy and expense required to maintain your stuff? Spend that time and energy on what matters most to you? Enrolment is limited to 6 to ensure a meaningful experience for all. Thanks to the KMI Master Mind™, I’m more aware of why I’m cluttering, and thus have developed more compassion for myself around this issue. I really benefitted from the group support, the new tools, and the accountability for doing some decluttering each week. I’ve definitely made inroads in dealing with my clutter. Since this master mind was so helpful to me, I’d absolutely recommend it to others! ~ Mary C.
because there's no judgment here! Yep, we (Mary and Donna) have clutter, too. Piles here and there, some hidden in drawers, binders and manila folders, some tucked away in closets or digital files. So what makes us qualified to offer a KMI Master Mind™ on clutter clearing? Because we have been able to shift our perceptions and build a gentle and sustainable method of clearing clutter—one that helps make the process easier, less stressful, and, yes, (drumroll, please), even fun! Then Creative Clutter Clearing: a KMI Master Mind™ was made for you! Two 1-hour Supported Work Sessions, which combine gentle accountability with focused action, so you make more real-time progress in clearing your clutter - and build a sustainable habit as well. Powerful! ﻿If you have any doubt that clutter is a major challenge for many folks, just check out the self-help section of any bookstore. Perhaps, like us, you have tried other programs and techniques to rid yourself of clutter—programs that told you that "if you just do it this way," your clutter will magically and permanently melt away. If you are reading this, chances are those ‘one size fits all’ programs didn't work for you, either. So we got together to look at what did help. And to figure out what would make it fun and easy to start and sustain a clutter clearing habit. The result of that quest was Creative Clutter Clearing: a KMI Master Mind™ - 10C's to Move You from Chaos to Calm, which combines creativity and group support with the Kaizen approach of small steps to big results. Because clutter isn't just about having too much stuff! It’s about your relationships, your stories and your history. Creative Clutter Clearing: a KMI Master Mind™ not only incorporates a variety of the best, most creative tools and ideas. It provides a flexible structure to help you show up, and gentle nudges to keep you accountable but not overwhelmed. It’s a place to explore and experiment with some new ways of relating to and clearing your clutter. And best of all, you will begin to feel a new sense of abundance and joy as you start your own personal clutter clearing journey! 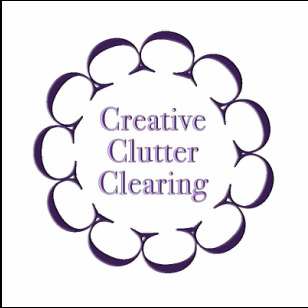 Hi, I'm Mary, one of the creators and facilitators of the new KMI Master Mind™ Creative Clutter Clearing: 10 C’s to Move You from Chaos to Calm. I have been developing and facilitating workshops and trainings for over 30 years, and my love for unique ideas and building connections has helped to shape this powerful yet gentle Kaizen-based, creativity-infused clutter clearing experience. Clutter has been an issue all my life. But until recently, I just didn't know how to deal with it in a positive and productive way. This master mind’s practical tips and tools, and imaginative and creative setting, helped me move past overwhelm and guilt into playful productivity. I can't wait to share these with you. As well as being a creative clutter clearer, I am a Master Kaizen-Muse™ Creativity Coach, a Master Kaizen-Creative NLP™ Practitioner, a Modern Day Muse Group™ Facilitator, a KMI Master Mind™ Founder and Facilitator, and a Co-Proprietress of The Purple Ink Cafe. You can learn more about me here. 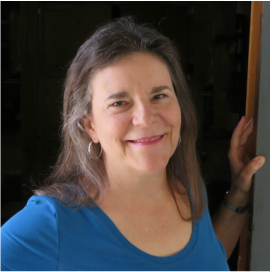 Hi, I'm Donna, co-creator and co-facilitator of the new KMI Master Mind™, Creative Clutter Clearing: 10 C’s to Move You from Chaos to Calm. Clutter clearing has come to the forefront for me because I’m at a point in life where I’m more interested in downsizing than in upscaling. Finding a gentle, creative way to work with my stuff was the driving force behind applying the KMI Master Mind™ model to the process of clutter clearing. The Master Mind, with its tools, individual and group support, and actual work time, gave me the gentle nudges I needed to start creating an environment that suits me. It’s been a joyful journey! Credential-wise, I’m certified as a hand analyst, a Kaizen-Muse™Creativity Coach, an ARTbundance™ Coach, a Muse Group Facilitator, a KMI Master Mind Facilitator, and a FranklinCovey™ Coach. All of which means I’m at home working with both right- and left-brained creatives. (And yes, we are all creative!) You can learn more about me at www.printsonpurpose.com. How does a master mind work for clutter clearing? I thought master minds were just for business. KMI Master Minds™ are different. They provide all the wonderful benefits of traditional master minds, but add oodles of creativity and the Kaizen approach. This includes focusing on the process of clutter clearing and taking action steps during each session. Think of clutter clearing as your project or your business. You will have breakthroughs you will be excited to share, and you will have road bumps to navigate with the support and help of your fellow members. Kaizen is a philosophy of small steps to continuous improvement. The process breaks down large projects into such small, manageable bites that you are able to bypass procrastination and perfectionism--two enemies of real progress. Kaizen defuses resistance and overwhelm and allows you to accomplish your goals in a gentle, safe manner. Each Master Mind is two hours long. During that time, you will be taking small actions on your clutter clearing project. If that is all you want to do, that’s fine. If you want to contribute to an ongoing discussion on the Facebook group, that’s a bonus. So your time commitment can run the gamut--from the two-hour Master Mind session only, to any extra minutes or hours you’d like to devote to clearing your clutter between sessions. The Master Mind sessions will take place on a video conferencing platform called Zoom. You can access Zoom via computer/laptop, tablet, or mobile device. You just need to download and install a free piece of software. If you don’t want to videoconference, you can also call into the session via telephone. All sessions are recorded. A link to an audio and video replay will be made available within 48 hours. What if I don’t use Facebook? Is there any other way to interact with the group? You can interact with the group during the actual Master Mind sessions. If you would like to contact an individual in the group, you can ask for contact information during the session. You can also chat with other participants during the session. What does the early bird special include? The early bird special consists of two individual 50-minute coaching sessions, one with Mary and one with Donna. All of their coaching credentials are included under “Meet Your Facilitators,” above. If you like, you can include an introductory hand analysis with your coaching session with Donna. (Learn more about hand analysis at www.printsonpurpose.com.) If you have questions about incorporating hand analysis into your coaching session, feel free to email Donna at donna@printsonpurpose.com. Is there an option to pay in installments? Yes. Payment can be made in two installments. If you require an alternative payment plan, please e-mail mary@thepurpleinkcafe.com. Requests will be considered on an individual basis. What if I try this and it’s just not for me? We have a 100% money back guarantee. If, after participating in the first session, you’d like to withdraw, we’ll reimburse you for your tuition, no questions asked. Just make sure to let us know before October 6. That said, we would like to hear what we could have done differently, so we can make changes if they are in order! KMI originally stood for Kaizen-Muse Infused Master Mind™, but that was a bit of a mouthful, so we shortened it to KMI. Kaizen is the approach we use, and the Muses are a whimsical way to refer to creative principles. The muses are taken from Jill Badonsky’s work.